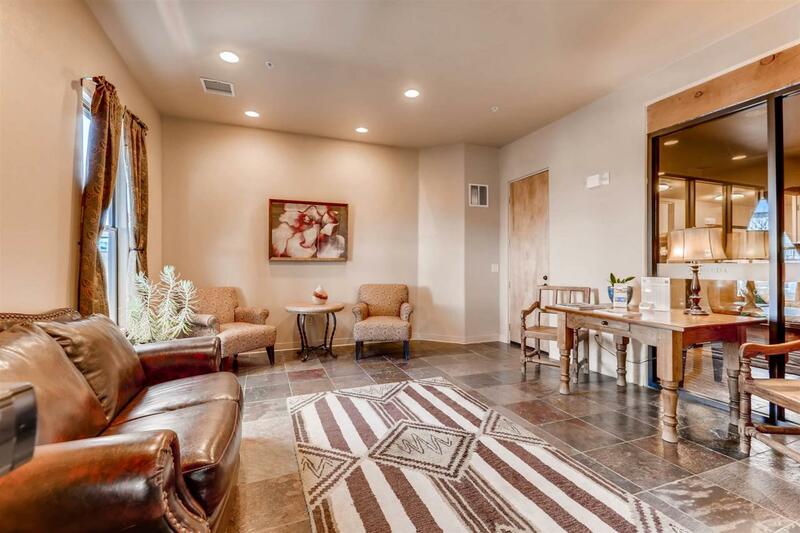 A FABULOUS HOME ON THE TOP FLOOR OF THE LUXURIOUS ALAMEDA CONDOMINIUMS. The one bedroom, one and one-half bath, well maintained home has been recently and tastefully upgraded with high-grade carpeting, lighting fixtures, Levelor blinds, a granite composite kitchen sink and new refrigerator, range/oven, dishwasher and disposal. The spacious floor plan offers a large entry hall with access to a powder room and a desk or shelf alcove, a newly equipped cooks kitchen with access to a utility/laundry room, separate dining area with curved accent wall, a large living room with corner gas-fired kiva fireplace and access to a south facing patio, and a large bedroom with a direct-entry luxurious bath and walk-in closet. 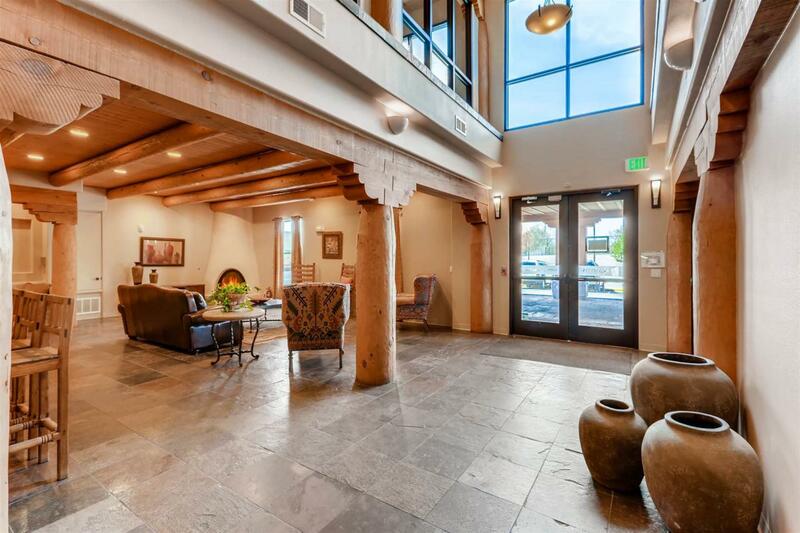 Features include Sandia, Ortiz and Sangre de Cristo mountain views, slate tile and newly carpeted flooring, wood columns, beams and lintels, T & G pine plank ceiling, vigas, granite counter tops throughout and ceiling fans. A must see home in a very unique community with a terrific location! 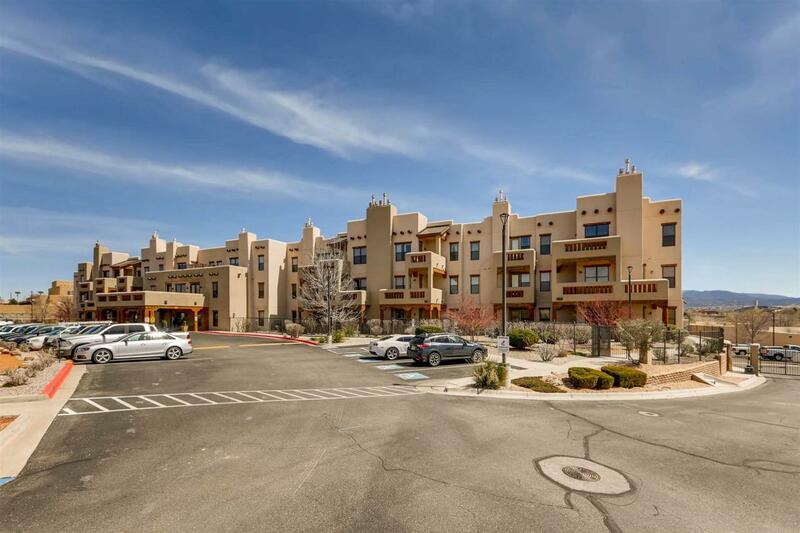 The Alameda complex offers a secure lock & leave compound loaded with amenities complete with pool, fitness center, two community living rooms with kitchens, conference/meeting room, on-site management, and gated parking. Close to hiking trails, shopping and services. A must see! 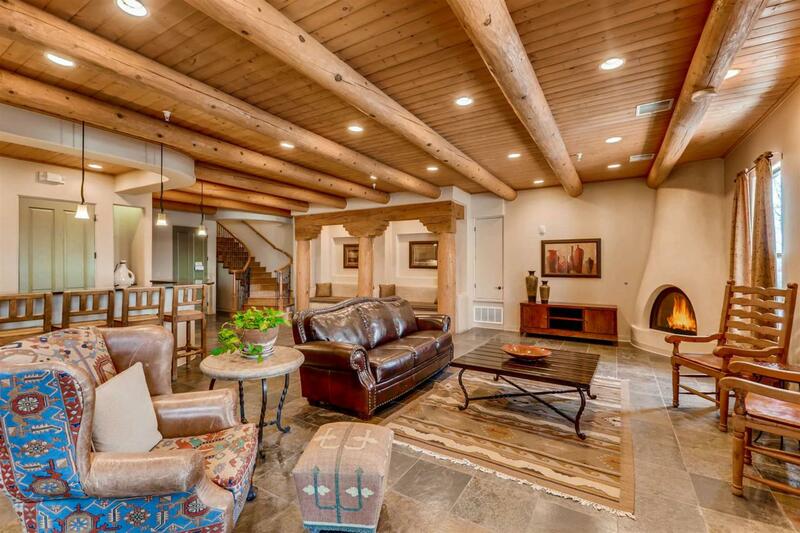 Listing provided courtesy of Richard Schoegler of Santa Fe Properties. © 2019 Santa Fe Association of REALTORS®, Inc. MLS. All Rights Reserved.